PC stands for phosphorylcholine, which contains molecules that are hydrophilic and biocompatible with the human body. PC Technology attracts and binds water to the lens surface creating a shield that keeps the lenses clean and functioning properly. 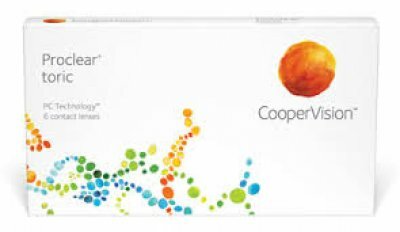 Proclear toric lenses have an FDA clearance for the claim: "may provide improved comfort for contact lens wearers who experience mild discomfort or symptoms relating to dryness during lens wear."